Meet "Rio" The Roadrunner! New Mexico's most lovable and exciting mascot! Rio was unveiled at our inaugural pre-season game on December 1st, 2018. 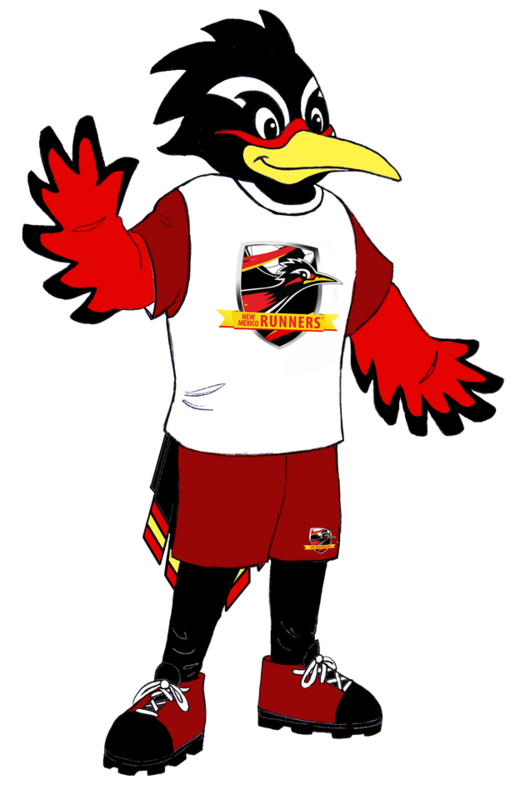 The roadrunner is New Mexico's state bird and having a roadrunner as our team's mascot reflects the identity of the state's only 100% New Mexican owned and operated sports team. There is no State Bird more closely connected to the people of the state than the Roadrunner is to the citizens of New Mexico. Early settlers for example were told that if you got lost, a roadrunner would always lead you back to the path for which you were searching. Rio will lead you to the most exciting game in the state and that is New Mexico Runners arena soccer at the Santa Ana Star Center! Book Rio for your event here: Book Rio!